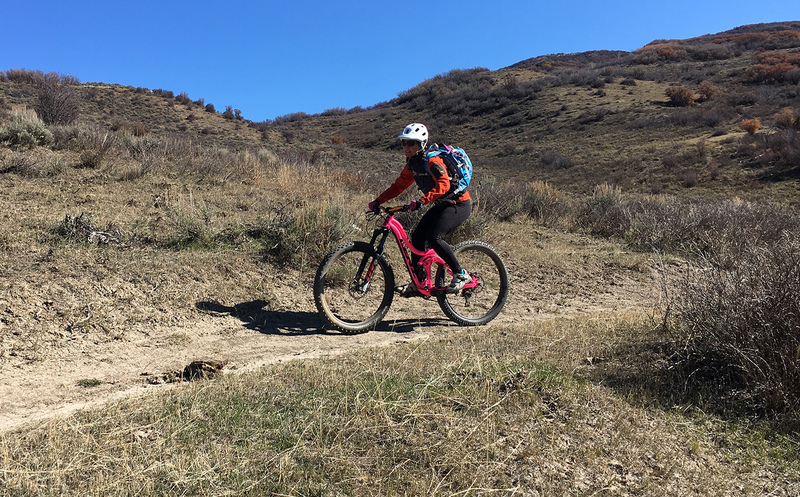 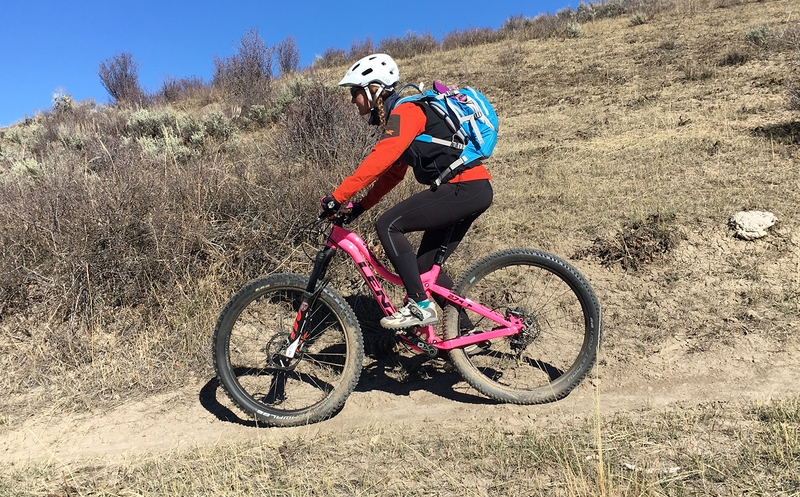 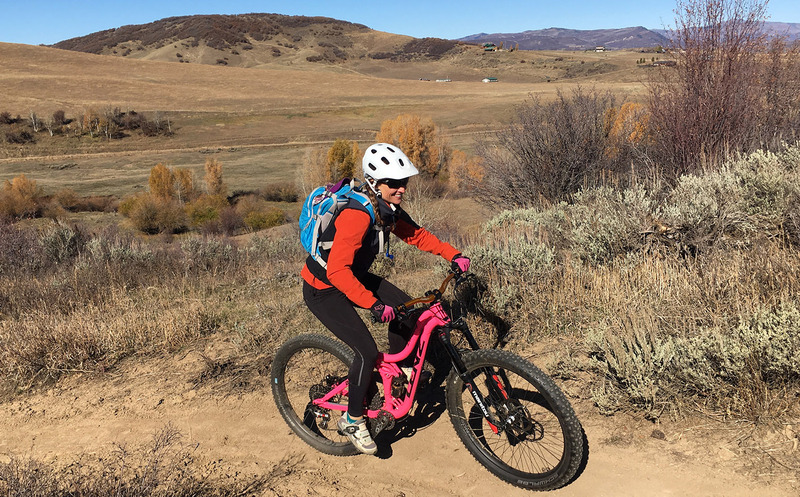 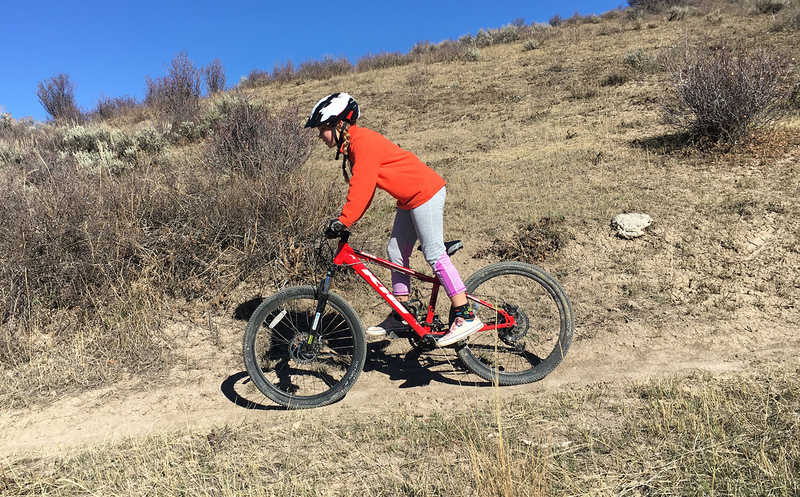 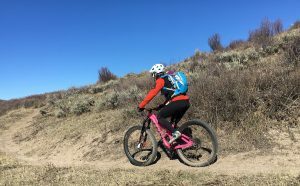 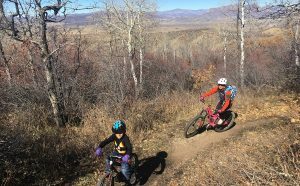 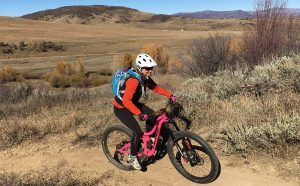 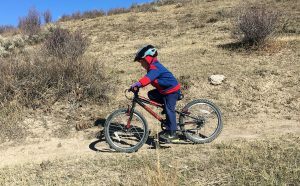 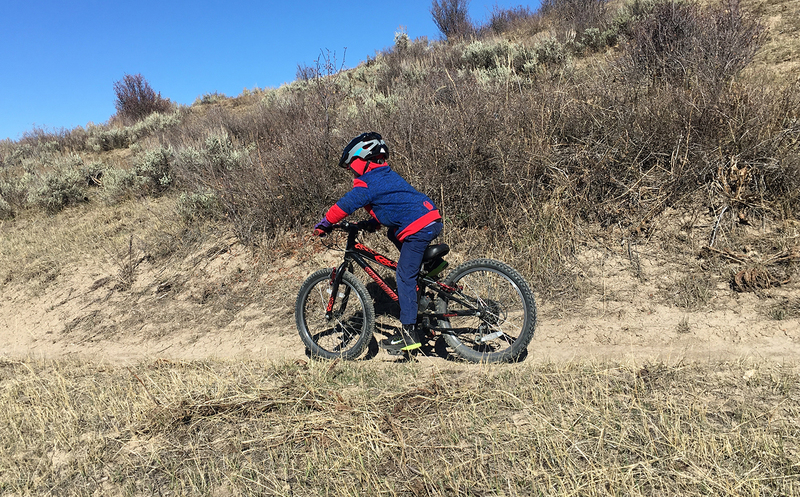 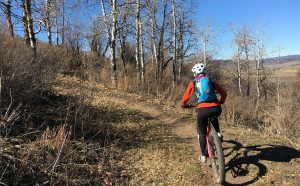 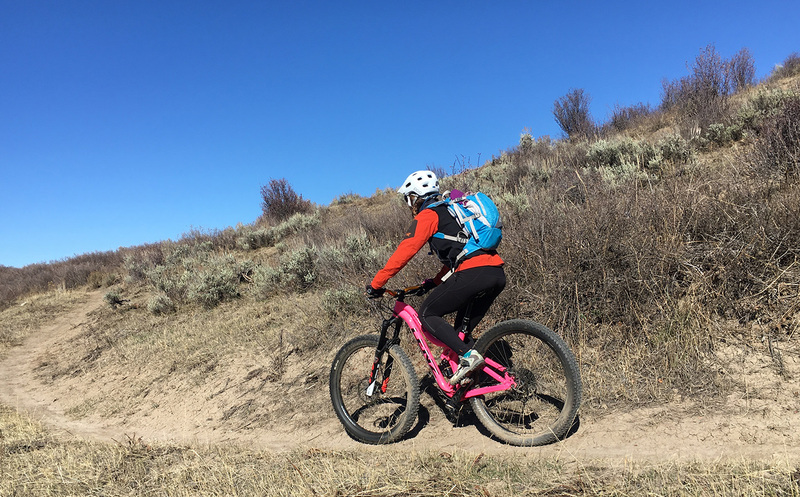 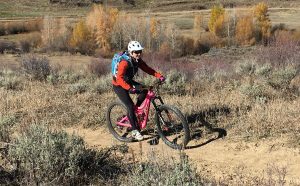 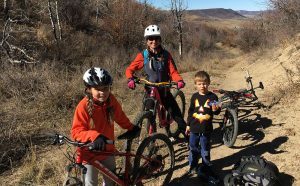 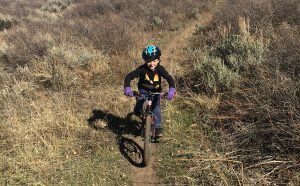 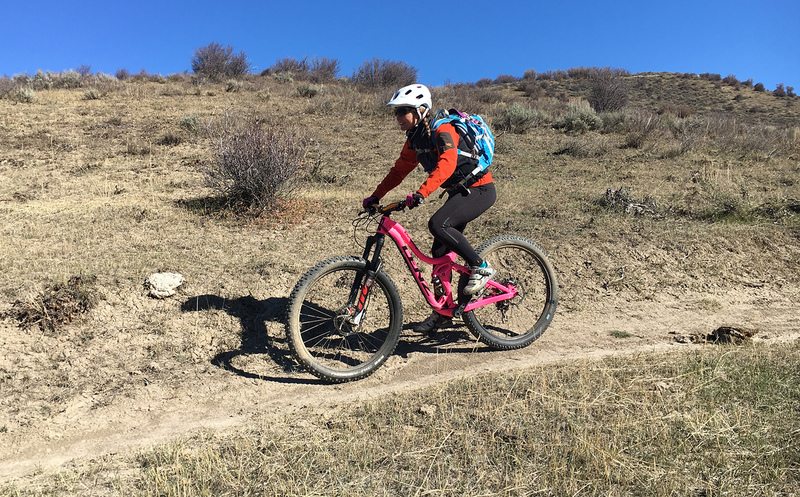 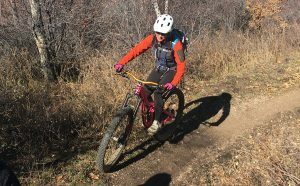 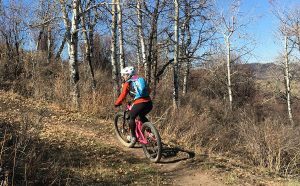 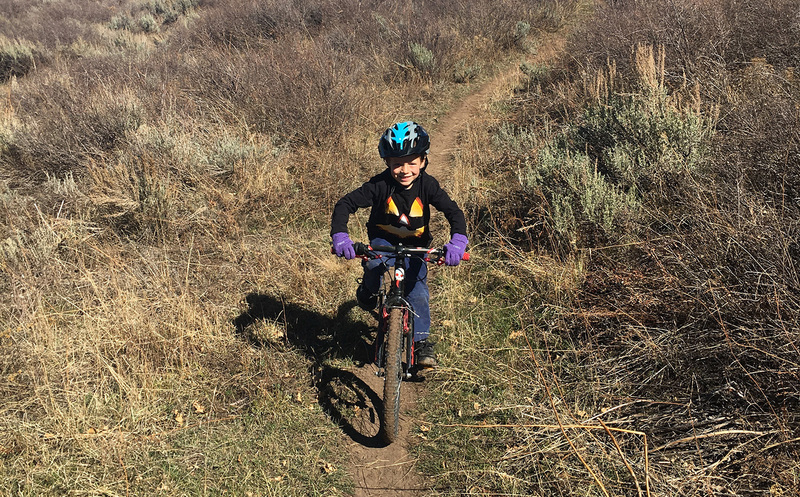 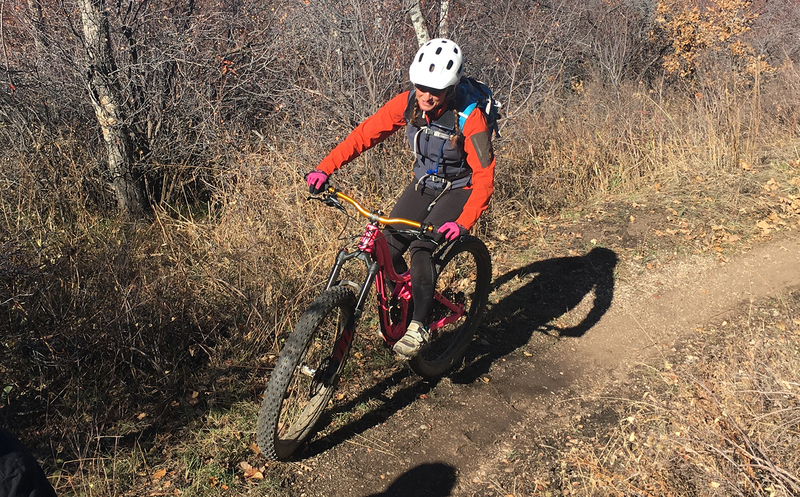 Nicole got a chance to take the new Lenz Women’s bike, the Sesh out for a spin this past weekend in Steamboat. It was very fall-like in Steamboat. The fall colors had already peaked, and things were starting to turn towards winter. 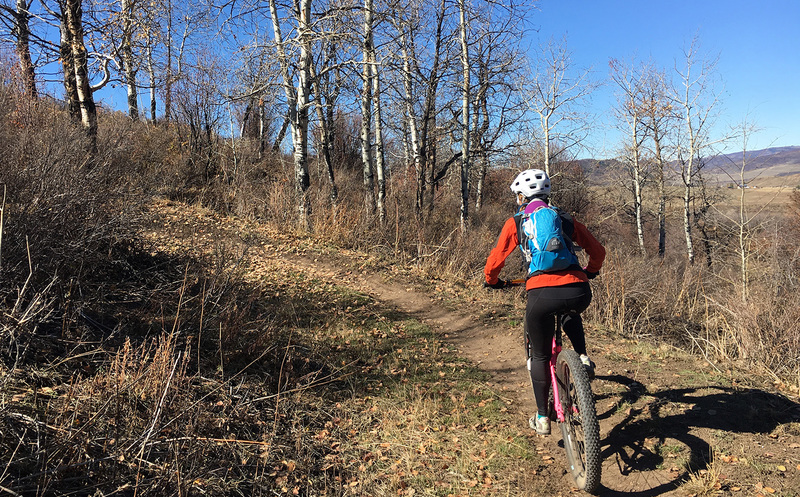 It snowed a little on Saturday, so we went for a soak at the Strawberry Park Hot Springs. 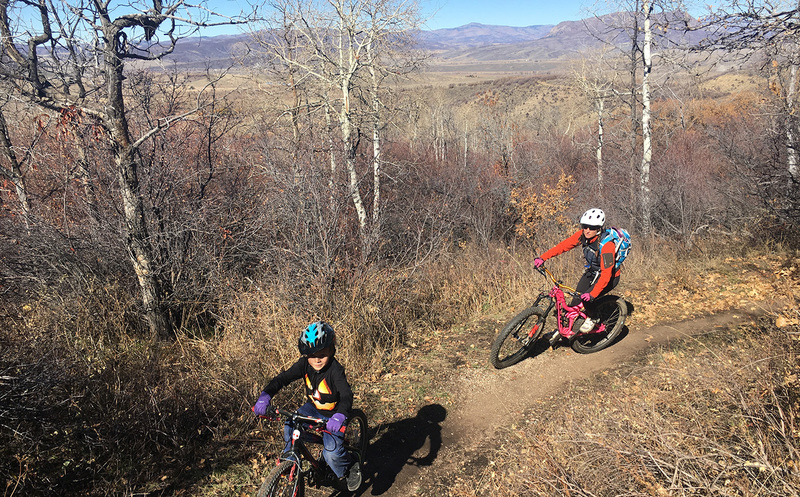 On Sunday, we took the kids on the Rotary Trail, then Nicole rode NPR and MGM afterwards with just her and the Sesh. 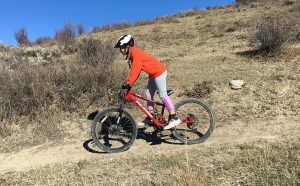 She came back with a huge grin on her face! 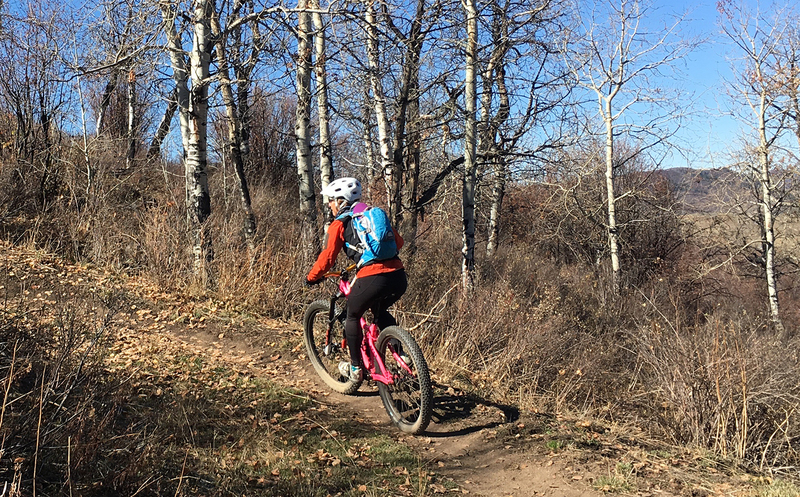 Here are some pictures from the day’s riding. 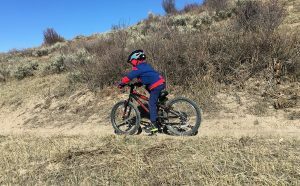 The Sesh handles really well, grips corners, climbs easily, and is stable on the downhills. 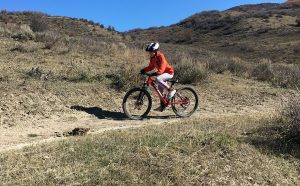 The geometry is comfortable and natural feeling which makes riding it a joy. 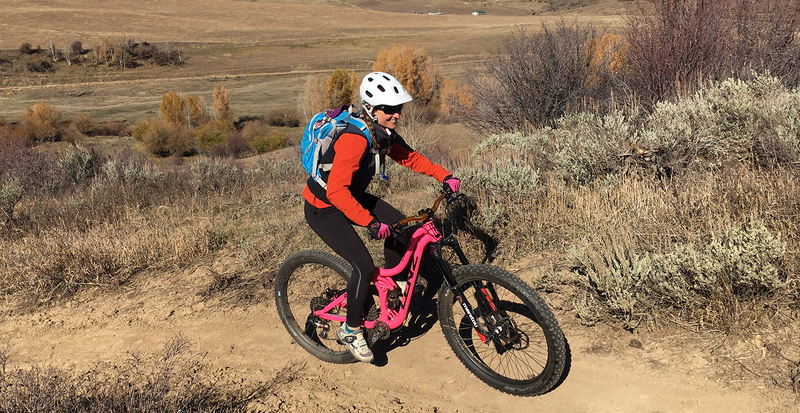 Click here for more info and specifications.